My ballot in the 2015 Denver Film Critics Society Awards nominations - the best of the year in acting, writing, cinematography, and more! I published my Top 10 Films of 2015 list yesterday, a little later than I usually get it out, and I was honestly spurred to finish working on it by the beginning of the Denver Film Critics Society awards process. It is one of my favorite things I get to participate in every year, as we each choose our top 5 choices in each category, compile an overall nomination list from there, and then vote on the final awards shortly thereafter. It’s fun to see what my Denver-based colleagues enjoyed most in a given year, and for me, it’s fun to spread the critical love beyond a list of just the films themselves. I sent my ballot in yesterday, and the nominations themselves will be announced on Tuesday, January 5th, so while we’re waiting for the next step in the process, I thought I’d publish parts of my initial ballot here, with commentary on each of the categories. This is a chance for me to talk about my favorite performances and technical merits of the year, similar to the ‘Dream Academy Award Nominations’ articles I’ve published in the past. The ballot allowed us to pick five people/titles per category, but I’ve also included some honorable mentions here, as there was plenty to choose from in 2015. And that’s accepting that, due to my own time constraints in December, there were a few major films I have not yet had the chance to see – namely The Revenant and Anomalisa, both of which I imagine I will enjoy very much, and will probably regret having to neglect in my choices here. Oh well. 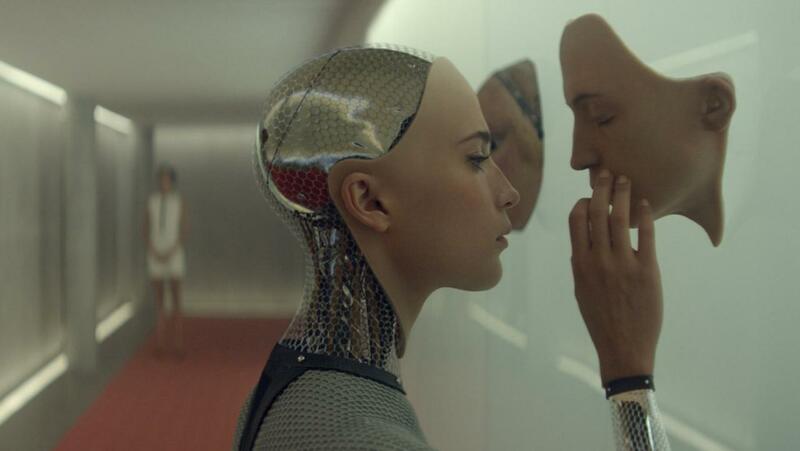 Things happen, and I will catch up with them eventually, and for now, there were more than enough great films, performances, screenplays and more to fill out this year’s ballot. Enjoy! 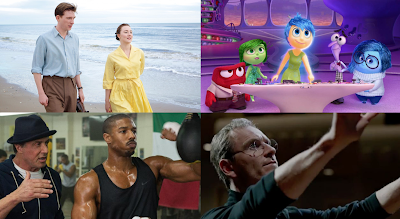 Pretty self-explanatory – these are my top five films from my Top 10 list. I thought about maybe rearranging things to give certain films a push, but honestly, I would be a little surprised if any of these – other than maybe Mad Max – winds up in the final nomination pool anyway. The race is so wide open this year, it’ll definitely be interesting to see. These are the top five films from my Top 10 list, but I did rearrange things a little bit in terms of titles. George Miller so obviously deserves this award, as Fury Road is clearly the directorial achievement of the year, and I sincerely hope I’m not the only one nominating him. I’d love to see Docter and Coogler in the mix as well, the latter proving himself one of America’s only animation auteurs, the former announcing his talent to the mainstream. 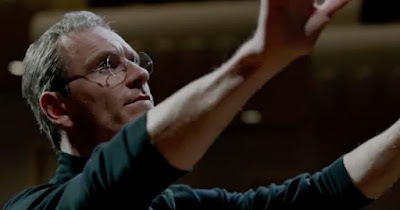 You all know how I feel about what Abrams accomplished with Star Wars, and even though Steve Jobs is always going to be seen as more of a writing achievement than a directorial one, I think it’s some of the best work Danny Boyle has ever done, akin to a great staging of a famous stage play. So while I had to leave a lot of great directors off the final ballot, these five names are definitely a strong batch. The thinnest category of the year by far, and honestly the thinnest the Best Actor field has been in years. These are five good names, but apart from Matt Damon, I really didn’t feel like I was leaving anyone hugely significant off (accepting, again, that I haven’t seen The Revenant, in which case I suspect Leonardo DiCaprio would probably bump off Johnny Depp). 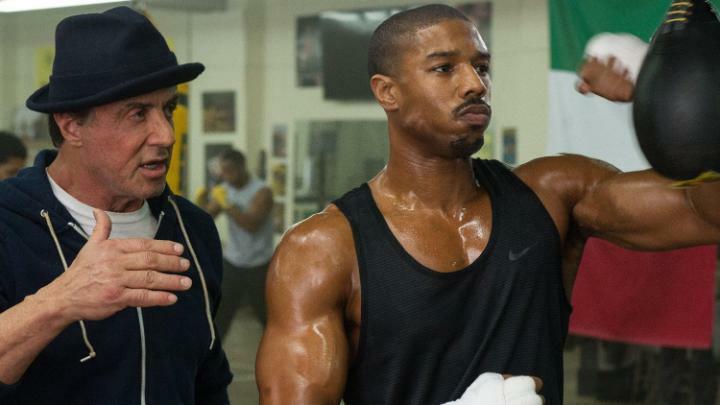 But Michael Fassbender is an easy #1 for me this year, and it’s pretty great to be able to put Michael B. Jordan up there as well. I know some will disagree, but I love the work Joseph Gordon Levitt did in The Walk – love it or hate it, you have to give him kudos for going for it with that accent – and Tom Hanks did some damn sturdy work in the excellent Bridge of Spies. And even if I don’t love the prosthetic work, Johnny Depp gave his best performance in years in Black Mass, playing a terrifying Whitey Bulger largely devoid of charisma. A great, deep category with so many good options, it’s tough to go wrong. 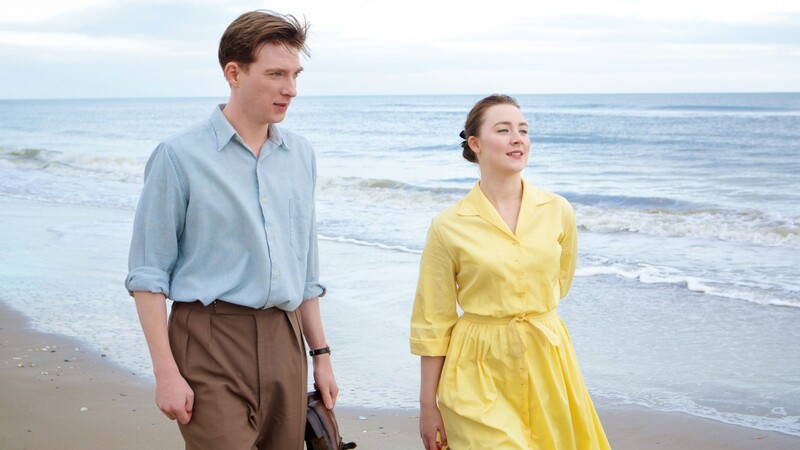 To me, Saoirse Ronan’s incredibly nuanced and lived-in work in Brooklyn isn’t just the best work in this field, but the best cinematic performance of 2015, and luckily, I don’t think I’ll be the only one pushing for her. Brie Larson would be a very close second, her raw, complex work in Room landing a whole lot of major emotional blow, while Elisabeth Moss was terrific playing a broken, frayed nerve of a person in Queen of Earth. 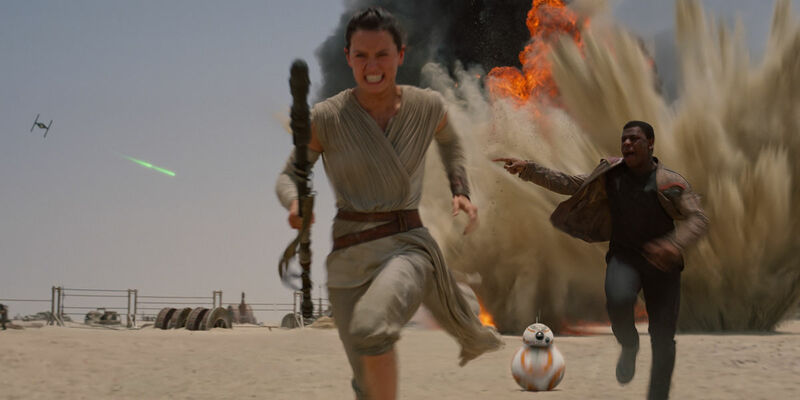 Daisy Ridley is so good in The Force Awakens, so immediately and completely a believable part of this world, that it feels as though she was plucked straight out of this galaxy far, far away; she is every bit the convincing lead Mark Hamill was in A New Hope, and if the discovery of Daisy Ridley was the only thing The Force Awakens gave us, that would be enough to make me love the movie. Finally, it would be easy to nominate both leads from Todd Haynes’ Carol, as I think it marks career-best work from both Rooney Mara and Cate Blanchett. But Mara is the film’s core protagonist and emotional lynchpin, and it is such revelatory work from an actress who has never before had a role this good that I’d favor her between the two of them. The deepest category of the year, Supporting Actor has far too many names to choose from, and I could have selected an entirely different group of performances and still had a great ballot. Sylvester Stallone’s work in Creed is my definite favorite for this category – he’s playing one of my all-time favorite movie characters, and doing it better than he ever has before – and I also felt compelled to nominate the similarly nostalgic Harrison Ford for The Force Awakens. After that, it was a question of how many people to nominate from the respective ensembles of The Hateful Eight, Spotlight, and Steve Jobs. 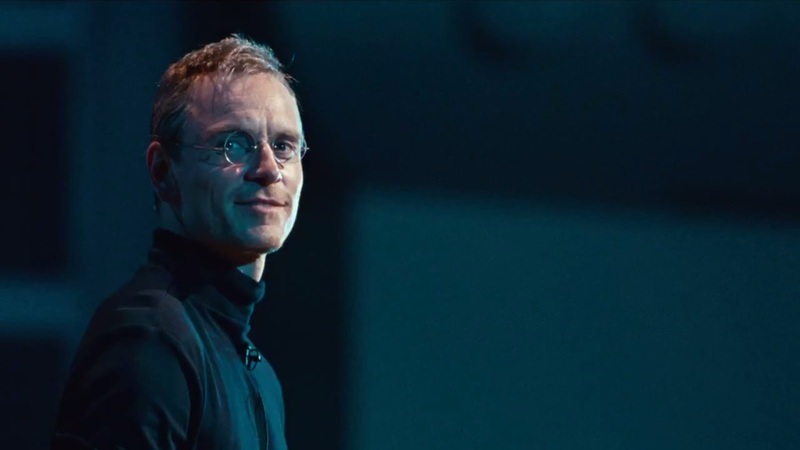 Ultimately, any ballot that didn’t include both Samuel L. Jackson and Walton Goggins would have felt incomplete for me – Jackson doing perhaps the best work of his long career, Goggins having the time of his life playing the film’s most complex, evolving character – and so many of the big emotional moments of Steve Jobs are fueled by a never-better Seth Rogen that he landed the final spot. That meant nobody from Spotlight, which definitely stings, but I also think it’s tough to isolate individual performances in what is the definition of an ensemble drama. Here’s a category where I felt the need to do a little bit of strategizing. I don’t know if I’d pick Julie Walters to win this award, but it’s the kind of small supporting performance that could get easily overlooked in favor of other nominations for Brooklyn, and I think she’s so deserving of a nomination that I put her at #1 here to get an extra boost. I think Alicia Vikander is in either way, and will probably be my pick to win, but I’d love to see a final ballot with both her and Julie Walters. Jennifer Jason Leigh is surely a safe bet as well, while Jessica Chastain is a pet pick of mine that almost certainly won’t make the final five. But she’s having so much fun in Crimson Peak, and it is such a different kind of role for her, that I felt her worthy of inclusion. And then it was down between the two supporting actresses from Steve Jobs – Katherine Waterston and Kate Winslet – and while both do great work, Kate Winslet is just so crucial to the film’s emotional and thematic landscape that I wound up choosing her. It’s some of the best, most naturalistic work she’s done in years (even with the accent that weirdly increases in intensity over the course of the film). Lots of good choices here. Adapted Screenplay is where most of the heavy hitters were this year, but these are five pretty outstanding contenders, and I wish I could have found room for Amy Schumer’s Trainwreck as well. 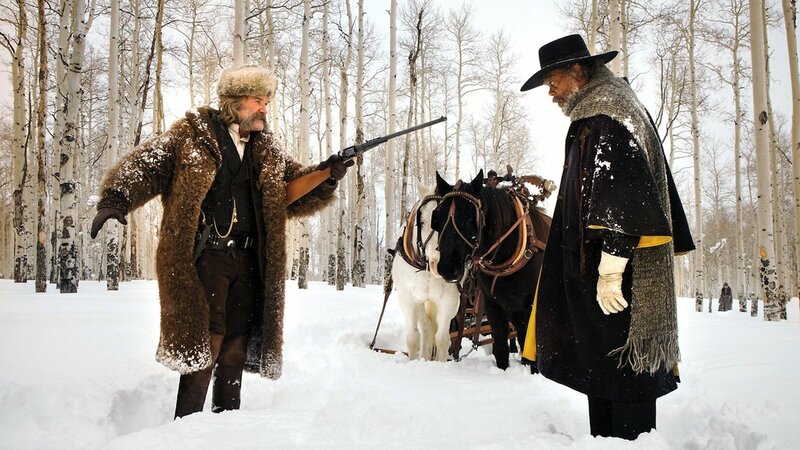 The Hateful Eight is one of my least favorite Tarantino films, but it’s still a pretty incredible Tarantino script, so it’s my pick to win; but the imagination of Inside Out, the go-for-broke humor of What We Do in the Shadows, the wonderfully strange dialogue of Queen of Earth, and the great sci-fi story told in Ex Machina all make for excellent contenders in their own right. I will admit to leaving off Mad Max just to make room for other contenders, in part because I don’t know how to gauge how much the ‘script’ contributes to the greatness of that movie; it seems more like an accomplishment of direction, storyboarding, performance, art direction, cinematography, etc. Without seeing the actual screenplay, it’s a tough call to make. Hot damn is this a crowded category. The list of scripts I left off would make a pretty great ballot on its own, and the five I finally whittled things down to are all masterful in different ways. Steve Jobs is, to me, the clear winner, an achievement in writing above and beyond anything else, but in terms of more direct adaptations, I love the novelistic structures of both Brooklyn and Carol, both of which are simply bursting with dialogue and character. And both Creed and The Force Awakens are pretty wildly savvy reimaginings of major pop culture milestones, each a triumphant and invigorating meditation on legacy in their own right. This was as good a year for movie scores as we have had in quite some time. 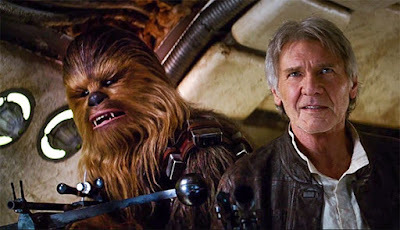 John Williams is my clear favorite, as his score for The Force Awakens is perhaps the best overall score he has written for Star Wars since a A New Hope 38 years ago. And another reigning legend, Ennio Morricone, hit it out of the park with his somber, chilling score for The Hateful Eight. But my other three choices are each less well-known, even if Junkie XL is clearly poised to become a major force in Hollywood, between his work on Mad Max and Black Mass this year, and his upcoming collaboration with Hans Zimmer for Batman v Superman. Michael Brook’s score for Brooklyn, which wavers perfectly at the edge of subtle and sentimental, was a major discovery, and Keegan DeWitt’s ambient score for Queen of Earth is a major part of why I like that movie so much. But this is another category where the runners-up are all just as deserving, and picking one group of five out of this outstanding class is almost arbitrary. We added a Visual Effects category for the first time this year, and it was damn good timing, as this was an absurdly good year for the craft. 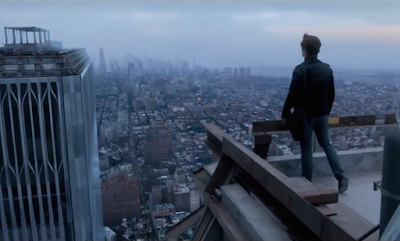 The achievement of resurrecting Philippe Petit’s tightrope walk across the World Trade Center is, to me, the clear favorite, but it’s hard to argue against the sheer, seamless magnitude of the work done on Mad Max, which should serve as a guide to the rest of Hollywood on how to properly integrate digital work. The Martian, meanwhile, creates an illusion so seamless it looks as though they actually photographed the film in outer space and upon the red planet, while The Force Awakens is a combined triumph of old-school model, miniature, and puppet work, and cutting-edge, well-integrated CGI. Finally, while Ex Machina has only one major effect, that effect happens to be its most important character, and I don’t think there was any visual effect this year that stunned me as much as Ava, given how strongly Alicia Vikander’s performance shines through what must have been some heavy prosthetic/CGI work. I’m actually not sure whether or not we’re even having this category this year. We added it in 2014, but it didn’t show up on the ballot this year, so who knows? I think it’s an absolutely crucial category – one of my favorites to think about and vote on, in fact – and this was another sterling year for the form. Accepting, again, that I didn’t see obvious frontrunner The Revenant in time for voting – the trailer for that film alone makes me salivate at Emmanuel Lubezki’s accomplishments – there were still plenty of great works to choose from. 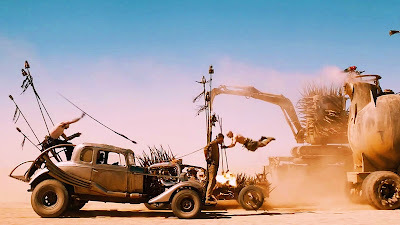 Mad Max is obviously a mixture of practical cinematography and digital trickery, but the overall visual palette is so rich, daring, and awe-inspiring that it had to be my #1 (the image above is from one of my favorite shots of the year, in any movie). Robert Richardson, meanwhile, turned in some of his best work to date shooting in 65mm and Cinerama for The Hateful Eight, and it’s one of the year’s great visual experiences. I’m especially partial to Alwin H. Küchler’s work on Steve Jobs, which progresses through the three acts from 16mm to 35mm to digital photography, each thematically relevant and each beautifully shot. Edward Lachman’s 35mm photography on Carol is Classical with a capital ‘C,’ and it’s positively stunning to behold; of all the movies that shot on physical film this year, I don’t know if there’s any that I’d like to see projected on celluloid as much as the richly textured Carol. And finally, the great Roger Deakins delivered another masterclass in digital photography with Sicario, a film that I honestly like more for its cinematography than its story or characters. It’s some of the finest work Deakins has ever done, and that’s saying something. Nominations for the annual Denver Film Critics Society Awards will be announced on Tuesday, January 5th. Check back here to learn more, and visit the Society’s website at www.denverfilmcritics.org.